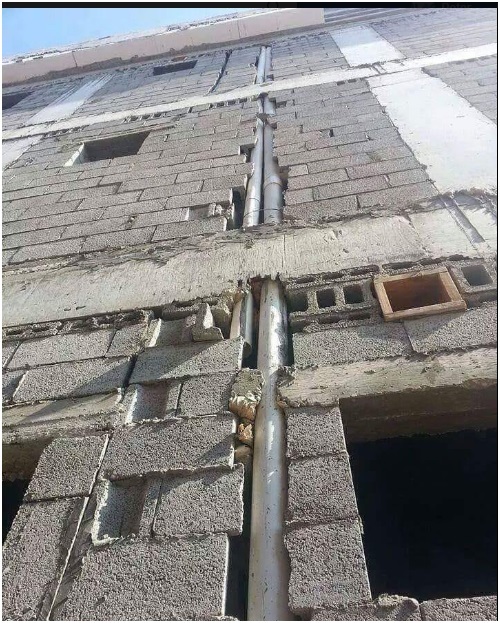 Wednesday, August 22, 2018 - Someone shared this phot0 of a poorly constructed flat in Nairobi. Greedy landlords don’t care about the safety of the tenants. They are only interested in money.